This program explores the economic forces driving our increasing youth addiction rates in Vermont. Why does industry create more addictive product and market to and target our most vulnerable, including our youth? How does the industry's corporate personhood and commercial free speech rights factor into the industry of addictions influence and power? 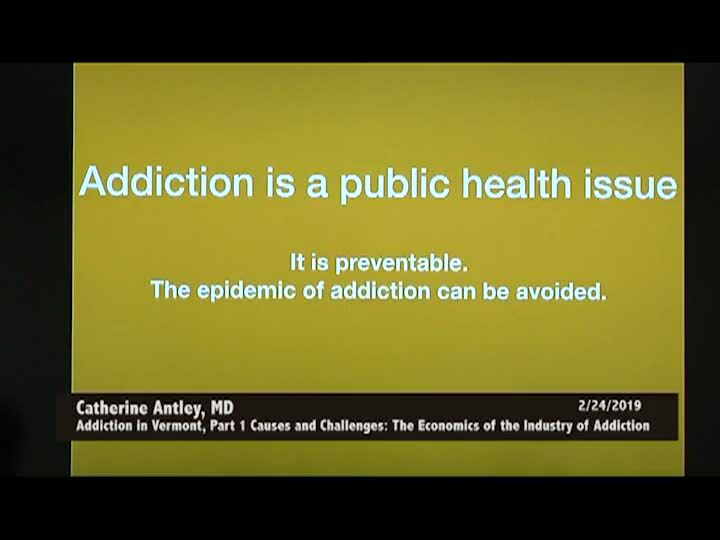 Presentation by Catherine Antley, MD.